The ancient stone structure's purpose is still debated, but is could have been used as an alter or an astronomical observatory. For either political or spiritual reasons, the Roman Emperor Constantine declared that Christianity to become the official belief of the empire. A Roman Catholic Church lead excursion where Christians wanted to regain control of the Holy Land in the middle east. Results in the capture of Jerusalem. Originally half of the split Roman Empire, Catholicism has remained an influential religious organization for centuries. Even though it is based in the Vatican City, the church has power that reaches all across the world. 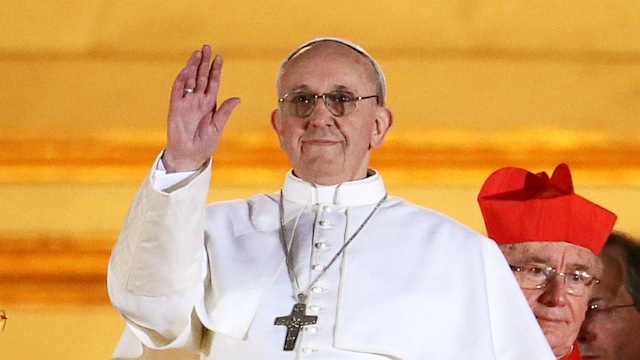 On march 13, 2013 Pope Francis was elected to lead the Catholic church. This a historic moment because he is the first pope that came from South America, and the first from any place except Europe. Early Pastoral tribes with varying monotheistic and polytheistic beliefs. Nomadic hunter and gatherers and later pastoral groups moved around for thousands of years. And each of these groups had different ideas about spirituality and different deities. The Egyptians built the pyramids for both monuments to their gods and as tombs. Especially when a pharaoh died is when the pyramids became even more religiously motivated because they were thought of as gods. Originating in the Iranian region, Zoroastrianism's style of worship and methods of prayer will later influence Judaism, Islam, and Christianity. Terrorist group al-Qaeda is angered by the U.S. and its involvement in the middle east and declares a "Jihad" which leads to terrorist attacks in future years. 551 B.C. - 479 B.C. During the life of Confucius, he contemplated the relationships between people and how they should treat each other. After his death, his followers compiled his philosophies into analects. After the Legalist dynasty of China fell, the Chinese citizens searched for a new philosophy that was much more forgiving, deciding on the Analects of Confucianism. Doaist Inspired peasant uprising which imagined a utopian society without oppression of governments or landlords. The Spanish control would lead to some conversion of Filipinos to Catholicism. As the different castes are established, the social classes become more prominent in society. The caste system later becomes the cornerstone of Hinduism. Born as Siddhartha Guatma, Buddha grew up as prince from a small area in India. Left his lifestyle to go on a six year spiritual quest to achieve "enlightenment". Even though it is a polytheistic religion, Hinduism spread all throughout south Asia. During which Islam was its greatest religious opponent for followers. Sikhism was formed in the 15th century and was based of the two major religions in the area: Hinduism and Islam. In the early 1900's religious tensions were high in British India between the Muslims and Hindus. Thus in 1947 the territory was split, and members from each religion were encouraged to move to their appropriate country. These pyramids were used by the Olmecs to worship their extensive amount of gods. Evidence of offerings were found here. Norte Chico inspired civilization of the Chavin took hold. And their brand new religious organization laid the groundwork for future Incan beliefs. The Mayan civilization was polytheistic and in a way to honor their Sun god, the civilization built pyramids as monuments and places of worship. During the conquests of these civilizations, disease and war eliminated virtually all of these natives. This resulted in the end of the native religions. The first permanent settlement in North America. This marks the beginning of many new settlements that are formed in the Americas, by mostly protestants, to escape religious persecution in Europe.